Tester Tested ! : Why is testing monotonous? The unspoken truth! Why is testing monotonous? The unspoken truth! My previous post ( Becoming a developer, who is less disturbed by a tester [ in 3 pages ] ) gave me a little surprise when a tester came back saying, "Hey you are helping developers, doesn't that make testers job difficult?" Another surprise today: 2 testers who were online, pinged me to say that they were doing a monotonous job. When I questioned them I was excited with the work that they had in their hand. tester_a: upgrade testing is awfully boring. Any views on this? pradeep: upgrade testing, what do you mean by that? tester_a: what would make it exciting? pradeep: Thinking of what kind of update issues, the product or users might face. pradeep: ok, let me give you a list of tests that I might want to test, if I am asked to find important problems quickly. *What bores a tester always interests the user*. 1. What if the product while it's getting updated, is hooked off the network? 2. What if an update file is corrupted? 3. What if an update file is infected with virus? 4. What if an update file for a specific platform is fed to another platform? 5. What if your reboot the computers while it's updated? 6. What if the server is reset while a client is updating? 7. What if an application on a client interrupts the update? 8. What if an upgrade fails? What more problems could be hidden with it? 9. What if an auto update and a manual update is attempted in parallel? 10. What if software is attempted to uninstall when an update to it is happening? 11. What if more than one method of upgrade is initiated from the same client with different instances of the application? 12. What if there is an upgrade of the platform happening while the product update occurs? 13. What if the resources required for the upgrade platform are squeezed? 14. What if the update file has wrong information in it? 15. What if the file date is changed to a date than the current version yet it has the latest update? Now, doesn't that sound creative work? tester_a: doing it on 45 platforms with 7 different ways = 45*7 might not be interesting!!! 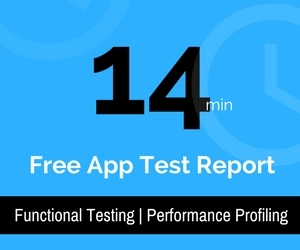 Perform tests on one platform, first. Note the important problems. Look for similar problems on other 2 platforms. If they are serious problems - report and disqualify the build/release/update/whatever? I would also negotiate with my manager for another resource or two who could help in getting this done effectively by saying, "I fear that any tester to my knowledge might find it tough to do all of that"
If you have been given time, its better you do it with passion. pradeep: Here is something that you might want to think: Soldiers are asked to work very hard even when there is no war. If they think it's monotonous and quit the job, we die at enemy's hands. There is a soldier guarding you somewhere, far away, and you better not call anything monotonous. pradeep: ok, I suggest you debate with yourself on that. It's made so by testers who *might* not be able to think or be creative. It's made so by testers who *might* be lazy to run those tests. It's made so by testers who *might* have not learned something that they could apply to the work that they do, to see a different result. It's made so by testers who *might* lack passion to test. It's made so by testers who *might* want to jump to development and needed a reason that others could accept. It's made so by testers who *might* not want to try any new test other than the script that they have been given. It's made so by testers who *might* want a reason to jump to another job. It's made so by testers who *might* lack motivation to test. It's made so by people who *might* be claiming themselves as testers but aren't. It's made so by testers who *might* not have skills to find bugs. It's made so by testers who *might* claim to know testing after knowing definitions and terminologies without knowing how to apply or practice them? It's made so by testers who are promoted as a test lead and *might* be happy thinking, "hurrah, no more test execution" and go completely wrong with their career in testing for thinking that. It's made so by test managers who *might* not want to allocate more resource for a huge task and yet get it done with a few testers sacrificing the quality and value. It's made so by testers who *might* want to do exploratory testing but are stuck in scripted approach. It's made so by testers who *might* be doing tasks with same mistakes. It's not testing that is monotonous, it's testers thinking that is monotonous. It's made by testers who monotonously say "testing is monotonous"! Those who question, don't experience monotony. Those who question, experience testing. If you experience monotony, you aren't questioning. If you aren't questioning, you aren't testing. I read your blog since last year, and I want to let you know that your articles are getting better, and better. I am glad to know that you have been reading my blog and I am sure to give you much better article, each time. When I look back at a post that I wrote an year back, it doesn't excite me yet I do not want to edit those to help me see myself growing in this craft. It's made so by testers who *might* be totally dis-engaged from their product. the same product that causes boredom, but doing the same things. First I want to thank you for the comment. It's very glad to see a Pakistani tester comment and appreciate thoughts of an Indian tester on his blog. I respect all testers and it applies the same to all testers. Be it with Pakistan or anywhere else. I think James Bach united us and yet he didn't know he was doing that. All he did is to quote that wonderful thing. I totally agree with you that, James really unites us, all of us. People like YOU are the real source of inspiration for me, people like you make me feel good about what i do, people like you make me do my work the way it should be done. Thanks for being such a great source! I shall keep pushing to offer you more. Thank you Meeta, for dropping by. It's nice to receive your comment! In the little time between reading the title of this blog & starting to read this blog, I had only 1 thought - "Testing is boring? That's 1 emotion I've missed!" In my few yrs of pure testing experience(earlier I was a developer/analyst also testing), I've never felt bored. "Testing is boring? That's 1 emotion I've missed!" "My official role is to find other people's faults and I get paid for it!" It's dangerous for a person who is working with you to know that you are finding faults in his work. It's not easy to digest that unless he is passionate to learn from you. I love the moment when testers or any people point at my mistakes that on correcting it can make me a better tester. If I have found a fault in your thoughts about testing and if you aren't hurt because I found a fault in you, I expect you to understand that not all people around you would take someone finding a fault in them or their work as lightly as you take. Instead if you help them see it as a way to better their skills, productivity through your testing, you certainly would shine better. I hope to see you shine better. Thanx for ur response. When I look at a bug, I do not see it a fault on part of the designer/developer. I see it as my success (No, it doesn't always have to come at the cost of someone else). Thankfully, my job definition does not have the line I wrote. And I agree that I MUST remain aware to NEVER see or present a problem as the creator's failure. Thanks for pointing that back to me. As long as your thoughts doesn't spoil relationship with developers or other stake holders, anything you do is fine. If thinking that way helps you to find bugs, I recommend you to do that in a *controlled* activity that doesn't affect a long term relationship. However I have been saying to myself, "Diversify...Diversify - To achieve more"
This is what I get when I put define:monotonus in Google.And this is exactly what I was told when I planned to enter Testing ,its very boring…There is nothing exciting in this field. Such were the inputs I had before entering this amazing field. First day when I saw the first test cases I felt people were right I just have to read and execute. There were two kinds of colleagues..i saw few really enjoying the task and few who were working as if they were “ sentenced to test”. Years have passed and have seen no change in the enthusiasm in the first group and sadness in the second group. The Product we test is the same albeit it went through many upgrades but you have to see the excitement when we get the new upgraded firmware or software for our product. People want to have their hands on upgrade as soon as it reaches our office, we are excited to see if the product has completely healed from the bug fixes or treatment produced some side effects.! If a tool would have complained that Arre yaar this testing is boring I might have understood his (its) helplessness…..:). Thanks for sharing your experience and I enjoyed reading it. I am sure others too would enjoy. You wrote I pity those testers who can’t see the beauty, the inherent freshness in this field. Isn't it good for us not to not pity those testers and keep motivating ourselves, which in turn *might* help them in motivation as they *might* be watching us on the way we work? I am sure those who said to you "you could do it because you mix scripted and exploratory testing and you find it amazing" would have also tried maybe not to your knowledge but didn't work for them as they didn't know how to do it and aren't seeking your help to do it because *might* be fearing to ask. Learning: All we need to do is to help them do it better so that they realize the value of it and we need to do it only when they ask for help and not volunteer to help thinking that they have a problem. Glad to know that such efforts are helping people like you. "Soldiers are asked to work very hard even when there is no war." I think this sentence says it all, as I told you, Pradeep. Many testers can identify themselves on this sentence as it is definetely very inspiring. Many testers can identify themselves on this sentence as it is definetely very inspiring. Such comments are inspiring to me,too. Thanks Liana! An e-mail to pradeep.srajan@gmail.com would fetch you answers for such questions. "*The company never thinks it is doing a monotonous job of paying you salary , every month! *"
"Soldiers are asked to work very hard even when there is no war. If they think it's monotonous and quit the job, we die at enemy's hands." After reading your blog, I feel a log of change in my attitude towards my work. Thanks. Such comments help me to keep pushing through the hard times and add value to you all. You've hit a number of great points here, Pradeep. When I read this article, I was reminded of the great English writer and wit Samuel Johnson. His biographer, James Boswell, was musing on whether he would get bored with London were he to choose to live there, rather than visiting. Johnson replied, "Why, Sir, you find no man, at all intellectual, who is willing to leave London. No, Sir, when a man is tired of London, he is tired of life; for there is in London all that life can afford." I feel the same way about testing. If you find testing boring, there's something you're not doing right--and it's probably that you're forgetting to take "pleasure in finding things out", as Richard Feynman would say. You've hit a number of great points here, Pradeep. Now, I am gonna hit on another great point, which I think I missed and I know the reason. Here it is: If testing is boring then you haven't yet known people like Michael Bolton and his work! You have written a very good article and atleast to me it looks one of your best. I will not lie. I have been through the feelings expressed by tester_a. But everytime such a feeling haunted me, I tried to get out of that by thinking what new things I could introduce in the way I was testing. I succeeded each time I tried this approach. So, I feel that whatever you have written in this post are golden words, and the points you have mentioned are practical and achievable. Through the course of comments, I can see that your post made so many testers to think and feel happy about being a tester. I am eagerly waiting for your next post. I am sure that it will unveil another golden truth about testing. You'd be surprised. I am waiting to read the next post because I don't know what I'd be writing. I got this link from a colleague who is an Indian and from bangalore. I went through your "TEST PROSE" and to my dismay realized that I was one of those "MONOTONOUS" testers a fortnight ago. Let me briefly share my experience with you, A fledging "developer" barged into the Lab in which we work and came out with a simple but a very murkier bug which if undetected could have caused a humoungous loss to my firm. I have been working on it for 3 years now and missed it this time. I would attribute this to my dying passion at that point of time and it was shameful to an extent. People appreciated ME for finding and fixing it. I attributed and would dedicate my success to my friend " The Rookie Developer" who inspite of being a developer had the instincts of a tester. I will tell you what. If you wanna be a succesful tester, One way would be to tell yourself everday that "this is your first job and you are testing this product for the first time in your life and trust me it pays you" and secondly your experience might not enrich you at times, your instincts as a tester seem to rekindle your dying passion. To keep them alive try to be a "ROOKIE TESTER"
you wrote Let me briefly share my experience with you, A fledging "developer" barged into the Lab in which we work and came out with a simple but a very murkier bug which if undetected could have caused a humoungous loss to my firm. I have been working on it for 3 years now and missed it this time. I would attribute this to my dying passion at that point of time and it was shameful to an extent. Thanks for sharing this experience. While reading your experience, I wish other testers who read this, understand the importance of a healthy relationship with developers. Also, the developers who *might* read this experience *might* get inspired to do more developer-testing. I am a very passionate tester and being so passionate about testing, I want thank that "Rookie developer-tester" for finding an issue that *might* have costed a lot to the firm. 1. If I am seeing the application/product the same way I am seeing it yesterday, what am I missing? 2. If things appear to be same, what new learning can I get to help myself see things in a different way? 3. Well, I am bored with this product but why not I call a tester from a different team to have a look at the product whose feedback or notes or observation can get me interested about it? 4. If I am too bored about the product, maybe I am yet to see what's outside the well. Why not I seek permission to test something different for a week, which can help me take a break from this and return with ideas that can help me fish more important problems, quickly. Nice article and nice conversation in comments ,i read each and everyone's comments.Really it is very nice. I perfectly agree with you, Pradeep. If you consider your job as monotonous, it will be. All this depends on your attitude. I have interacted with a lot of drivers ( cab/bus/auto ) and some of them feel its monotonous. There is a challenge for them to drive safely although they feel it's monotonous and not try killing someone because they haven't done that. I recently heard from my father about a research study that states, "Every driver does a minimum of 14 calculations per second when he is driving". Its not just attitude but passion! I really liked the 14th point !!!! I cam across your forum today while trying to study testing from the great WWW.I am just a new-born in this field.But after going through your blogs, i feel so confident and happy to be an entrant into the field.I am confident of excelling in the field of testing. I am absolutely in love with this comment.How true !!! Hi, This is really a nice article. The reasons you mentioned here happens with us sometimes, the thing we can do is to find motivation within ourselves.